Rug Doctor Spot and Stain Scrubber Multi-Purpose Formula’s quick-action foam lifts stains from deep within carpet and fabric fibers, making cleanup easy and effective. This powerful foam formula penetrates deep below the surface to remove tough stains and odors without oversaturating. Ideal for quick cleanup of spots and stains, Spot and Stain Scrubber’s built-in fabric-safe brush is easy to use on carpet, furniture, auto upholstery, mattresses and more. Durable bristles scrub fibers from every angle, delivering a clean that’s tough on dirt but gentle on soft surfaces all over your home and vehicle. This multi-purpose soft surface cleaner eliminates both the stain and the odor from everyday messes like mud, makeup, food, grass, grease, dirt and more. The deep cleaning formula removes old, set-in and tough, embedded stains with ease. Use it to clean and refresh carpet and soft surfaces and to tackle trouble spots between carpet deep cleanings. 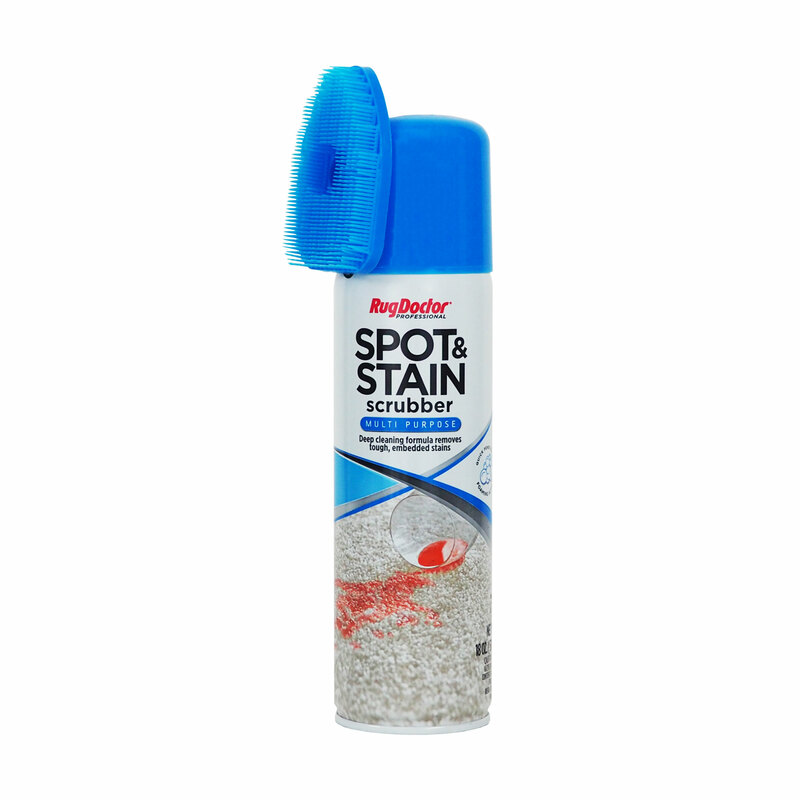 Spot and Stain Scrubber Multi-Purpose Formula is non-toxic, safe for use around kids and pets and certified for safe usage on carpets, rugs, upholstery and other soft surfaces.